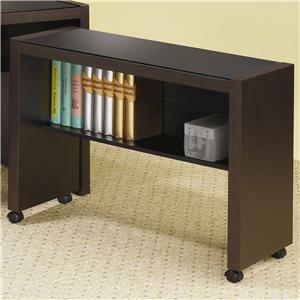 This computer cart on casters is an invaluable addition to your desk or home office configuration. 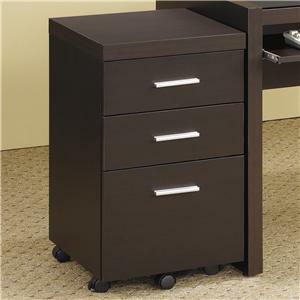 A rich cappuccino finish wraps the cart in a clean, contemporary finish and is accented with simple silver accent hardware for just a hint of shine. 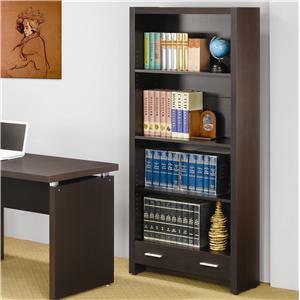 A lower shelf is ideal for storing books, discs and computer accessories neatly within reach. 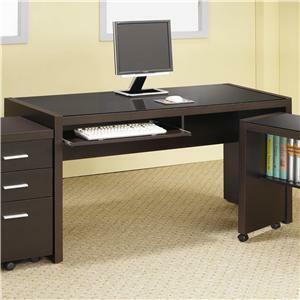 The smooth flat surface of the cart provides additional workspace, while casters on the base allow for easy mobility. 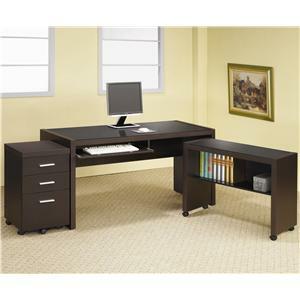 Tuck under the coordinating computer desk for a stylish L shape configuration that serves your home office needs. 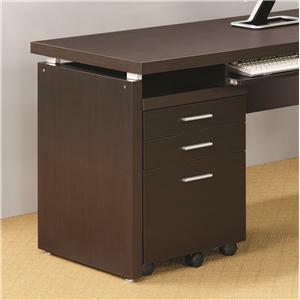 The Skylar Computer Cart on Casters by Coaster is available in the area from FMG - Local Home Furnishing. 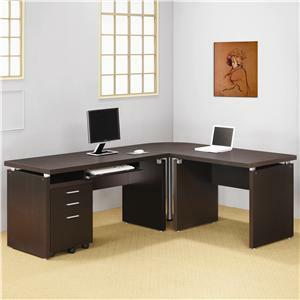 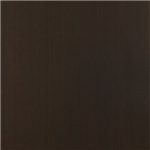 The Skylar collection is a great option if you are looking for Contemporary furniture in the area. 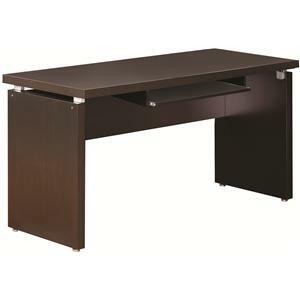 Browse other items in the Skylar collection from FMG - Local Home Furnishing in the area.